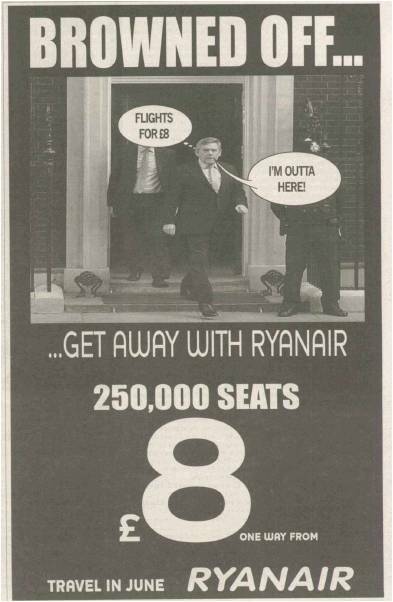 Ryanair and Gordon Brown’s relationship is long and colourful. The low-budget airline obviously couldn’t resist one last pop at the former Prime Minister. (Thanks to Matt for passing on).